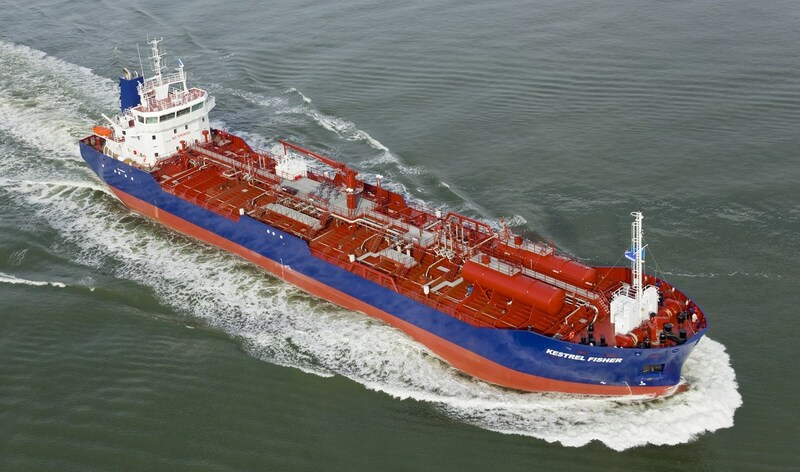 Home › Oil Tanker › Oil Tanker › Tanker 23000 › Tanker 8000 "Kestrel Fisher"
The final Damen Tanker 8000 for owner De Opfeart was delivered on October 30, 2013. James Fisher Shipping Services from the United Kingdom is responsible for ship management. The vessel was christened by Michelle Hartnup on October 30, 2013 at the Damen yard in Harlingen, the Netherlands.